This Gala is on Saturday 21st and Sunday 22nd July at the Wycombe Leisure Centre HP11 1SX, it is a L3 gala. Entries for this gala are first come first served so it will fill up fast. Entries must be in to BSC via the form by midnight Tuesday 8th May 2018. It is a long course 50m swimming pool. Age groups are 9, 10, 11, 12, 13, 14, 15, 16 and 17+. Ages are calculated as at 21st July 2018. The events available are 50s, 100s & 200s in individual strokes plus 400 Free, 200IM and 400IM. Entry times should be either LONG COURSE TIMES or converted to Long Course times. Entry times to be achieved within the last 12 months. Note: this gala has not faster than and not slower than qualification times. 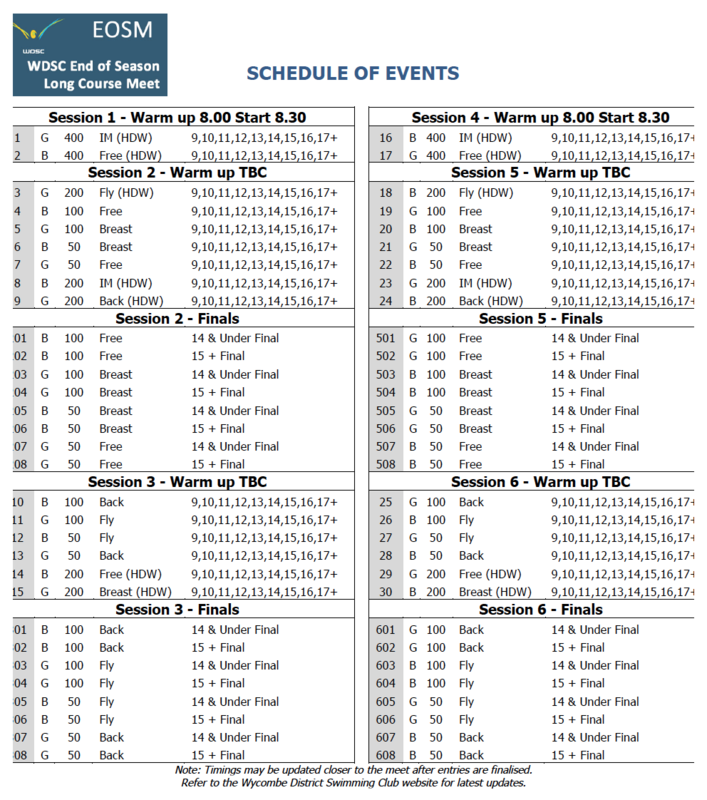 Below are five buttons the Wycombe website, the Entry Pack (which includes all conditions and the qualification times), Schedule of Events, ASA best times (where you can check your swimmers PBs) and an eligibility report. Entry fees are £7 for all events. You do not need to email us separately, but you need to include a bank ref with your swimmers surname and part of the gala name eg BurnsWycombe, Burns Wycombe.